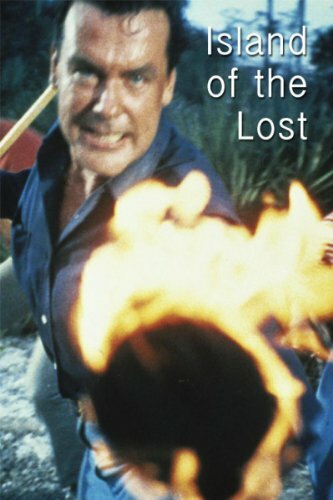 An anthropological expedition in the South Pacific discovers an island inhabited by prehistoric, mutant versions of modern animals and come upon a native boy who was left on the island as a survival test by his tribe. An anthropologist and his family are shipwrecked on a South Seas island. Richard Greene is certainly a man who believes in family togetherness. He's an anthropologist who believes that somewhere in the vast Pacific there is a chain of undiscovered islands. Remember this is 1967 and by that time we and the Russians have had some men who've circled the globe and I'd think that from their vantage point they might have seen something that had hitherto been undiscovered. Anyway he packs his family which consists of his two daughters, a son, and two research assistants and goes off to the South Seas. At this point this actually does sound like Sterling Hayden who chucked his movie career for just such a venture. When they get to the South Seas, they get themselves caught in the Pacific equivalent of the Bermuda Triangle. A lot of unexplained magnetic activity causes their compass to go haywire and Greene and the family are stranded on the Island of the Lost. This is not any kind of island Gilligan would have found hospitable. Greene finds all kinds of strange exotic creatures, killer ostriches, saber tooth dogs and miniature prehistoric Dimetrodons. The family has to battle all of them and some hostile natives. There last encounter with unfriendly creatures however is when Greene and assistant Mart Hulswit go diving and meet some unfriendly garden variety sharks. I'm still trying to figure why this maroon would take his family on such a dangerous trip, one that in fact turned out to be as dangerous as it was. 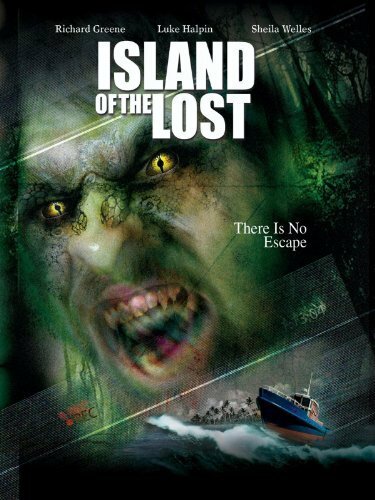 But Island of the Lost isn't that good a film to be worried about it. The film was produced by Ivan Tors and Ricou Browning, the same folks that brought us Flipper, that ever trusty friend in the sea. Which is why teen idol Luke Halpin was in this film as Greene's son. Luke's big moment is rocking out on a keyboard made of balsa and creating a truly eerie musical sound. What's sad is that Luke Halpin once Flipper had run its course on television and films was just another ex-teenage idol. It's hard to believe that this was the only film offer around. Or maybe Halpin had a sincere case of loyalty to Ivan Tors who certainly had been good to him and his career so far. In any event like so many who sink below the radar once their series is canceled, it happened to Halpin. This film sure didn't keep him visible. Island of the Lost is kind of laughable today, the special effects at which Tors was acclaimed a master back in the day are pretty lame. It's also hard to believe that television's Robin Hood, Richard Greene, had also sunk so low. This one is bad news folks, skip the three hour tour to this Pacific paradise. This was a film I enjoyed as a kid. Even then I knew it was pretty terrible - the hammy lines, the laughable special effects (ostriches with horns glued on are about the pinnacle of special effects on display), the way Richard Greene and the rest of the cast seem to walk in and out of the camera to represent scene shifts... subtle it ain't, nor art. I have no doubt that I'm influenced by nostalgia, but a revisit a few years ago revealed a film with plenty of charm alongside (or, more accurately, because of) it's extreme silliness. One comment - is this the only sixties Luke Halpin movie in which he keeps his shirt on throughout?